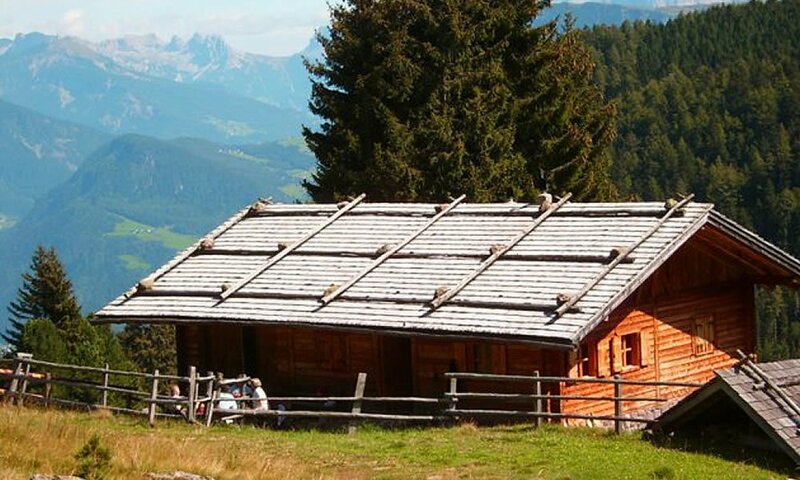 To the Gasserhof belongs a mountain hut on the Barbianer Alm, which is located at an altitude of 1,700 meters. You will arrive at the Huberkreuz parking lot, from where you can walk on foot. From Huberkreuz, the path leads over a gravelled path, so you can reach the destination comfortably and safely. In about an hour you arrive at our mountain hut and enjoy the beautiful view of the mountain world. Our alpine pasture is a resort for the whole family and your friends. In the summer, the calves of the farm are grazing here from May to October, that’s why the alpine pasture is known under the name of Gasser Kuhleite (literally “slope of the cows”). If you are planning a longer hike in Barbian, start from the Gasserhof-Alm to the Rittner-Horn area and back to the Huberkreuz. The 3-hour hike takes you by flowering mountain pastures and you will experience this breathtaking mountain panorama of the Dolomites and the surrounding mountains. Alpine hikes in South Tyrol – here you can reach the most beautiful places.